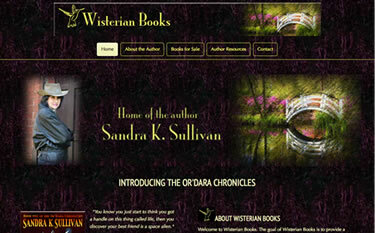 Wisterian Books is a new project for author Sandra K. Sullivan whose plan is to offer autographed copies of her own book and those of other selected authors. She is currently offering the first book in her series The Or'Dara Chronicles. As part of the project, a business card which features a book promo on the backside was created to match the website. Sandra plans to offer similar cards to other authors who are part of the Wisterian Books community.